Is Your School Data Safe From Disaster? SchoolCare's MyCloud Offsite Backup for schools and education establishments is the best way to ensure that your school data remains safe in the possible event of a disaster. Recover all your files and get back up and working quickly if the worst should happen. Backing that data up is essential of course and the traditional means of doing so to tape or similar is just the start of an effective disaster recovery plan. However, whether you use tapes or cartridges, these require someone to ensure that the backup is done regularly and that the storage media is taken somewhere safe. Whoever has this role in your school will also have to be ensuring that the data backups are working properly and that the media is replaced when necessary. A robust offsite backup solution goes towards ensuring Principle 7 of the UK Data Protection Act is met and our offsite backup facility is designed to completely automate and take the hassle out of backing up your school data. Requiring no backup tapes or user intervention, our offsite backup system checks your data for changes, compresses and encrypts the data (using 256bit AES Encryption) and uploads it to our primary UK data centre on a nightly basis. Once completed, all your data is then automatically replicated safely and securely to another secondary data centre facility based just outside London on the M25. Your school data remains on our storage servers in encrypted form protected by a password, without this there is absolutely no access to your data whilst “at rest” and is, therefore, a completely secure offsite backup for schools. Both our data centres are secured by multiple levels of biometric security to control physical access to our servers. As well as being protected from fire using the latest fire detection and suppression systems our platform is also backed up by standby diesel generators in the event of a power failure. Our support team monitor backups daily and are alerted to any failed backups. Our teams will then work to remedy any failure proactively. You will also receive confirmation of your nightly backup by email for added peace of mind. FREE Replication - All data replicated to standby data centre facility at no cost. Backups are monitored by our trained technicians daily. Daily Email Alerts confirming successful backup. Data housed in Tier 2 UK data centres with high security, Biometric access control, redundant power and cooling facilities. 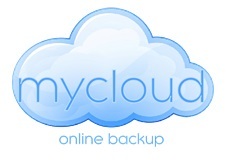 Contact us for a FREE Data Evaluation and no obligation quotation for our MyCloud OffSite Backup For Schools and Education Solution!